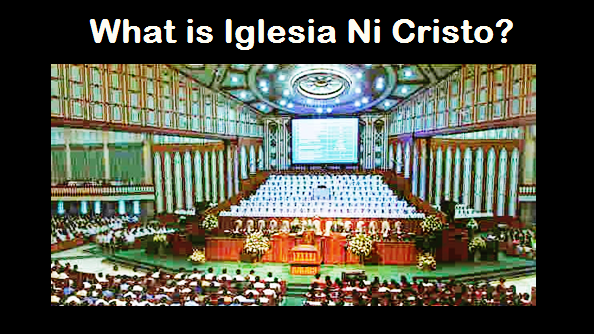 THE IGLESIA NI CRISTO: What is salvation and who will be saved? It is called the second death because it’s an eternal torment. The Bible said, “He shall be tormented with fire and brimstone…And the smoke of their torment ascends forever and ever, and they have no rest day or night…” this is the “wrath of God” that He will poured to those who did not obey His commandments. Thus, what is salvation taught by the Bible? Salvation from the “second death,” from the eternal punishment that will be bestowed come Judgment Day. And because all men sinned, all men need salvation. No doubt that the Lord Jesus Christ is the Savior. However, the Bible explicitly said that the Lord Jesus Christ “is the Savior of the body.” The “body” referred to is the Church. Thus, it is true that the “Church” is not the Savior but the Lord Jesus Christ, however, the Bible also teaches that the Church is the one that will be saved by the Lord Jesus Christ. So, how can a man be saved if he accepts only the Savior and rejects the body or the Church that the Savior Jesus will save come Judgment Day? The Bible explicitly said, “there is no other name under heaven given among men by which we must be saved.” There is no salvation in any other name but the name of the Lord Jesus Christ (cf. Acts 4:12 and 10). Thus, among thousands of churches, we can easily identify the true Church that the Lord Jesus Christ will save come Judgment Day, the Church called after His name. this is one of the marks of the true Church given by the Bible. Is your Church not called after the name of the Lord Jesus Christ? The Bible said, “there is no salvation in any other name.” Which is the Church called in the name of the Lord Jesus Christ and the one referred to as the body of Christ?